Every year since we started this project we received numerous emails asking us how often pool water should get tested… and every year we respond to each inquiry because we believe pool owners could save themselves a lot of headaches and money by testing their water on a regular basis. What do you mean by ‘regular basis’? Opening Your Pool – After adding source water, and before adding chemicals, test the water to make sure you have no dissolved metals and also so that you do not add other pool chemicals (i.e pH, alkalinity, hardness, etc.) unnecessarily. 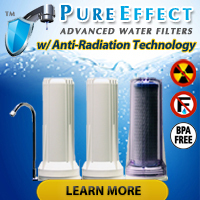 After a Natural Event – Test your water for the basics (i.e. sanitizer level, pH, alkalinity, hardness, etc.) after periods of heavy rain, heavy winds, etc. When Nature Calls – Should you ever realize that someone has taken a ‘phone call from Nature’ in your pool, get everyone out and follow suggested pool shocking practices which usually require maintaining sanitizer levels at or above a certain level for a specified period of time before allowing anyone back into the water. You will need to test for those elevated sanitizer levels in order to know that you have followed the procedure… and then you will need to test to make sure those have sufficiently decreased before allowing bathers to re-enter the water. In the Event of Algae and/or Cloudy Water – If either of these two pool water conditions afflicts your pool then you should certainly test the water to find the problem, obtain the correct chemicals to correct the problem, and test to make corrected the problem. Closing Your Pool – Always test the water and correct any problems with the water before closing the pool because water problems that exist at the end of the season will only get worse when the pool sits idle over the Winter months. Getting to the actual question in the title of this article, though, we suggest testing the water as often as you can. In all honesty, with the correct pool water testing product, taking a quick snapshot of your pool’s water quality ought not take more than about a minute. We suggest daily pool testing, but let’s face it… kids, school, work, chasing the neighbor’s cat out of the yard, and darn near 1 million other things rob most of us of any remaining, few, and precious seconds of ‘free’ time as it is — so how about testing each time you go out to check the skimmer? Or, for those with automatic chlorine or bromine feeders (very useful gadgets, by the way! ), how about every time you go poolside to fill up your feeder? In the end, though, just like the owners of private water wells, no government agent will come out and make you test the quality of your water. Therefore, it becomes a personal choice as to whether or not a pool owner wants to test regularly and potentially stop pool water problems before they get out of hand (cloudy water, algae, bacteria, parasites, etc.) … or spend money to correct each of those problems after they occur. Economics of pool water testing? A bottle of Pool Check 6-Way Test Strips costs around $12 and provides 50 fairly comprehensive pool tests… with each test taking a bout a minute. On the other hand, not testing a pool regularly can result in a pool owner having to spend an estimated $4 to $6 per 10,000 gallons of pool water for shock (liquid or powdered), no less than $5 or $6 for a gallon of standard algaecide ($20+ for the concentrated stuff! ), and in really bad cases… $20+ per quart for stain remover. Did we mention that correcting pool water problems usually also involves time spent brushing down walls, backwashing (and possibly having to acid wash) filters clogged with algae, and getting a real workout scrubbing stains off of pool surfaces? You do the math on whether or not regular pool water testing makes sense. 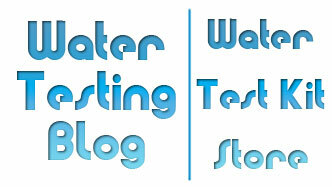 For more information on pool water testing, please check out the pool water section/category of this site.